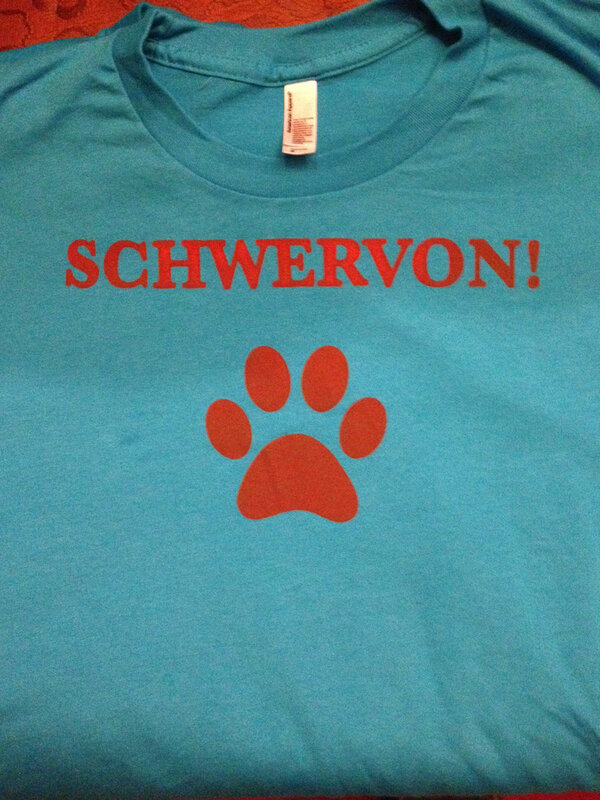 Paw T-Shirt (Teal) | Schwervon! While you’re in the holiday gift buying mood we’ve got a handful of these limited edition, hand printed, classic Superman red and teal, “Paw” design Tshirts left from our European tour available at the Bandcamp Store. This entry was posted in Uncategorized and tagged American Apparel, DIY gifts, Hand Printed, Holiday Shopping, Paw, Schwervon!, Tshirt. Bookmark the permalink.